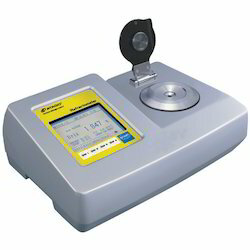 We offer a wide range of superior quality Abbe Refractometer. The offered instrument is widely used in laboratories to measure the index of refraction. Imported from leading vendors across the globe, these work in relation with Snell's law and the calculation is done by analyzing the composition of the material by Gladstone-Dale equation. These can accurately measure the refractive index between nD 1.3000 to 1.7000 with sugar percentage (Brix) of 0-95%. 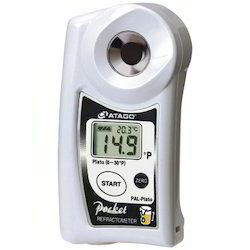 We are one of the leading suppliers of a wide range of superior quality Atago Refractometers. These are manufactured using superior grade material and extensively used to measure the index of refraction. Offered at market leading prices, these are extensively demanded in varied Engineering applications. 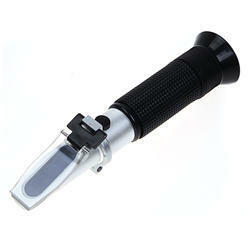 We are offering a wide range of Hand Held Refractometer. The refractive index of a solution containing sugar is in proportion to its sugar concentration. The model 500 uses this principle, where a transmitting system is applied, to obtain a high contrast in the field of view. Single point calibration with distilled or deionized water Small sample size, can be as small as 2 metric drops. 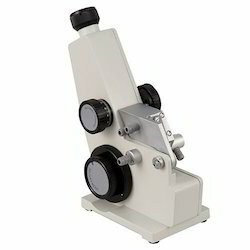 Looking for Laboratory Refractometer ?